Action Tire Company is dedicated to providing prompt courteous service for everyone. 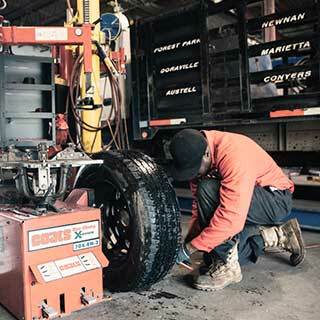 We have a fleet of 45+ vehicles that can service every tire up to 25″ right where the vehicle is located. We also have two boom trucks capable of handling tires up to 50 inches. 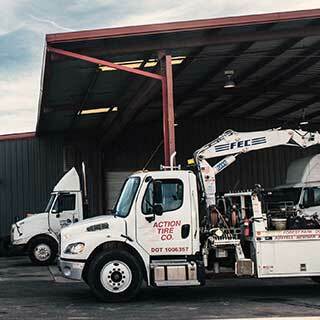 All of these trucks are at our disposal for Action’s 24 hour road service. Every one of these service trucks are rolling on a daily basis to service our customers faster than anyone else! 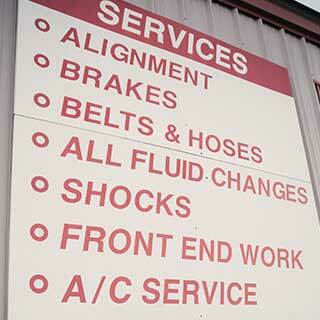 Action Tire Company’s great services are also available at each of our locations. Each location is fully equipped to handle all of your tire needs. Our drive thru service can accommodate any size vehicle, so bring your ride in for a free inspection and Action Tire will get you safely on your way. Got a question? Just pick up the phone and call any of Action Tire Company’s locations. All of our management and service technicians are fully trained. Every employee is up to date on all O.S.H.A. standards and all technicians have been certified by the Tire Industry Association. So we at Action Tire Company challenge you to bring a tire to us that we can not service!